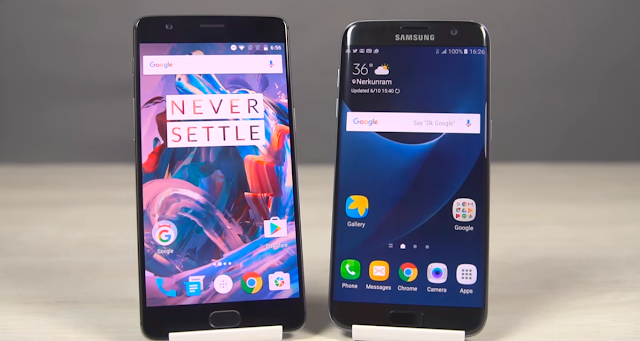 Few days back C4Etech did a test comparing OnePlus 3 and Samsung Galaxy S7 edge .Of course having 6GB RAM , OnePlus 3 should have won the comparison test , but S7 edge took the stage . Just because of Poor memory management , OnePlus 3 did lost to S7 edge . But XDA Developers found a way to tweak the RAM and extract almost all potential of The OnePlus 3 . C4Etech did the test again after applying the Tweak and Yes ! OnePlus 3 beats the Samsung Galaxy S7 edge in performance ! After RAM fix tweak OnePlus 3 beats S7 edge in all 3 rounds !